Right now I'm sitting at my work computer, chowing down on hummus and carrot sticks, and making a conscious effort to take a deep breath. I have several big things going on in and around my life right now. Some things that are frightening, some exciting, and some just down right maddening. All of these burdens came to a head yesterday as Brian and I made the drive home from Dallas, where we'd been hospital-sitting for 2 days as our newest nephew successfully made his way into this world. As I poured my thoughts out to my husband, who is always a safe shelter in the midst of a storm, I felt tears stinging my eyes. I just needed a release. You can relate, I'm sure. In situations like these, where we feel the weight of the world more than the weight of the One, we have to go back to what we know to be true. When we are surrounded by unknowns and our stability seems to falter, we have to remember what we've previously identified to be certain, sure, infallible. Otherwise, we'll panic ourselves with the torment of the unknown. I recall a time when I was waiting on test results, and the unknown was literally paralyzing me with worry. I was putting stock in things that I did not know to be true. As I allowed God to transform my mind, He reminded me that I didn't need to fret, but instead, "go back to what you know to be true." Y'all, what we know is that God is trustworthy and good in all things. We know that His timing is perfect. We know that Satan is powerless in the face of Jesus. We know that God is able to do exceedingly and abundantly more than we can ask or imagine. We know that He is Sovereign, and He loves us and our loved ones more than we love us and our loved ones. So, when things get shaky, when you get scared or frightened, go back to what you know about the One you know. May the God of all peace and comfort invade your hearts and minds today. Love you! Reminds me of the song "voice of truth" by casting crowns. It's my favorite. Do you love it? 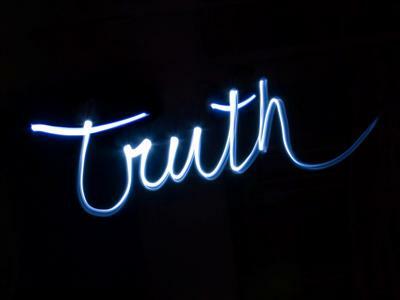 Isn't it good to know that the TRUTH is all we need to know? Praying for you that your burdens will be lighter as you shift the load to Him. Thank You once again Lindsey for beautifully putting into words what we all feel at different times in life. Thank you for reassuring us with the Truth. Truth that always stands no matter what. Sometimes we just get fed up with this mortality and that's where feelings, doubt, frustration and anger come from. The Lord understands. Love you. I really needed to read this today. This morning I felt fragile under the weight of all the burdens I'm praying for right now. There's been a lot going on surrounding us this week, not so much concerning me, but others. Thank you for the Truth you've reminded us of. Yes, your followers are out here for you....say hello.